You've probably seen the bumper sticker, "Christians aren't perfect... just forgiven." This article is not about whether or not this is a true statement, or whether this is a message we should be putting on the bumpers of our cars--however, it does have a sentiment that I would like to tackle briefely, namely, the idea that Christians, especially those in Christian ministry are perfect. Here's the truth--we're all broken, sometimes significantly more than we are comfortable admitting. One of the things that many in full time ministry struggle with is loneliness. Despite being surrounded by people, a missionary can feel an incredible sense of isolation, abandonment and discouragement. This is one of the weapons that the enemy uses to keep those in ministry from being effective and fruitful. 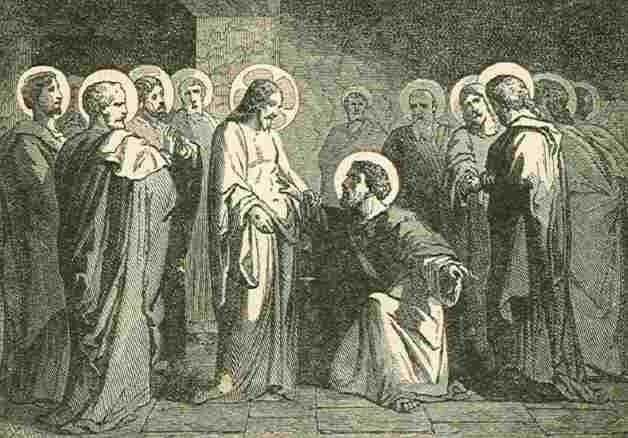 One of the things that I have been thinking about recently is how much I need the full body of Christ. I need those with gifts of encouragement, gifts of generosity, gifts of teaching, gifts of prophesy, gifts of administration--as a missionary, I cannot function effectively without the rest of the body of Christ. God doesn't intend those in full-time ministry to be isolated from the rest of the body. I am really grateful that God is teaching this to me while I am still raising support. I really do need your prayers, I covet your prayers--I covet an encouraging phone call, a text message, an e-mail from someone just wanting to see how I am. However, because of the image of 'having it all together,' often it is possible for me to go for weeks or months without any kind of healthy fellowship with other Christians. Whenever I am together with others, I am expected to perform, to do the missionary monkey dance and beg for a few coins. I woke up this morning and realized it had been more than two months since a new individual or church joined my support team. I have given out nearly 800 prayer cards, but never received an e-mail or phone call from anyone who has received one. I wanted to cry. I felt incredibly isolated and alone--but then I remembered that I am not; Jesus was alone on the cross so that I could be in perfect fellowship with God. God helped me to transition into praise and thanksgiving--thanks to God, and thanks to the dozens of individuals and churches that are supporting me faithfully. I don't want to sound ungrateful, I am not, but I do need you--beyond just your financial support, I need your friendship, I need your prayers, I need your encouragement. I need the whole body of Christ to help to equip me to minister the whole Gospel to those that God has called me to. Ozu is considered by many to be one of the greatest directors that ever lived. His cinematic style is instantly recognizable as are the reoccurring character types, often played by a small band of loyal actors. But probably even more distinctive to Ozu is his slow paced human focused films. 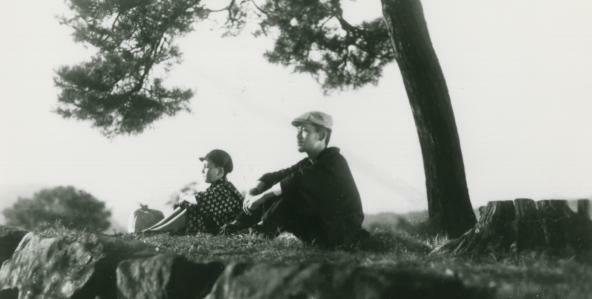 Ozu's favorite subject is family relationships. One of the most beautiful scenes in the film. Much like the contemporary director Wes Anderson's preoccupation with familial relationships, particularly with estranged fathers, Ozu masterfully weaves human drama in the setting that we are all intimately acquainted with, the home. His portrayals of families are archetypal, much like Platonist Idealism--there is something universal about them. However, despite the form of perfection, they are all rooted in real brokenness. They point to the ideal, but then bring us back to reality. In the the film 'There Was a Father,' Ozu is especially concerned with the relationship between a father and a son. The main themes of this film are duty, sacrifice and estrangement--as the father Horikawa, played by Ryu Chishu, tries to provide the best life and opportunities for his son, they are increasingly separated. As I reflected on the film, I realized that Ozu was painting a familiar scene for many in his 1942 audience. Japan was making significant sacrifices, and had for generations, to provide for a better future--but at what cost? Ozu, unable to point critically to the contemporary political and economic situation in his own country, alludes to questions that he doesn't ask and answers that he doesn't give. One of Ozu's frequent storytelling devises is to use off-screen events that are alluded to indirectly but are central to the narrative. Oftentimes in his films, what happens off screen is more important that what happen on screen. At one point in the film Horikawa and his son are having a conversation about their ancestral home which they had just seen in passing. The son asked his father whether it still belonged to the family only to hear that his grandfather had sold it to provide for his father's education. This conversation is easily one of the most significant exchanges in the film, and happens almost so quickly that it appears to be unimportant. This conversation though, points to a larger narrative that these two characters are joining in. They are part of a vicious cycle. The father only wants the best for his son, feeling that he himself wasted the investment made by his father in him. So instead of listening to his son's wishes to live together, he sends him to a boarding school and moves to Tokyo to pursue a better financial situation. The unseen grandfather had been a teacher of Chinese classics, Horikawa at the beginning of the film was a middle-school math teacher, by the end of the film, the son is a college-educated chemistry teacher--there is a sense in which Ozu begs the question whether the sacrifices were worth the moderate gains in social advancement. The emotions in the film were muted, but hopeful--this may have had to do with the need to pass wartime censorship. The only copies we have of this film we now have were edited to remove any patriotic content after the war, so there are a few unnatural transitions. This story is still poignant and relevant for modern Japan (and the West)--today, more than ever, there is a generational disconnect between parents and their children. The desire to provide good things for their children often pushes parents farther away from those that they want to ensure the future of. This is true at a societal level also--is our pursuit of progress actually undermining the most fundamental human institution, the family? Ozu is distinctly Japanese--and unlike the films of Wes Anderson or other Western directors, there was no epiphany or resolution by the final curtain. The story was one of self-awareness on behalf of the audience. In fact, I was left with a nagging desire for more resolution and reconciliation by the end. 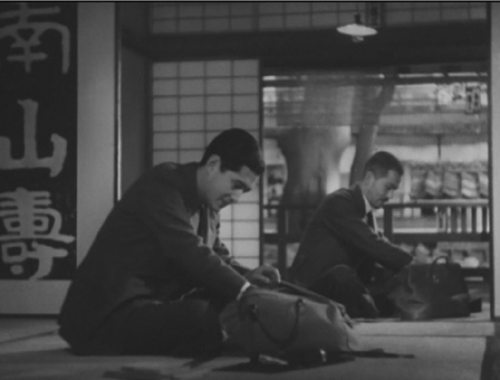 I think that by not offering us a happy ending, Ozu actually accentuates the desire for one.